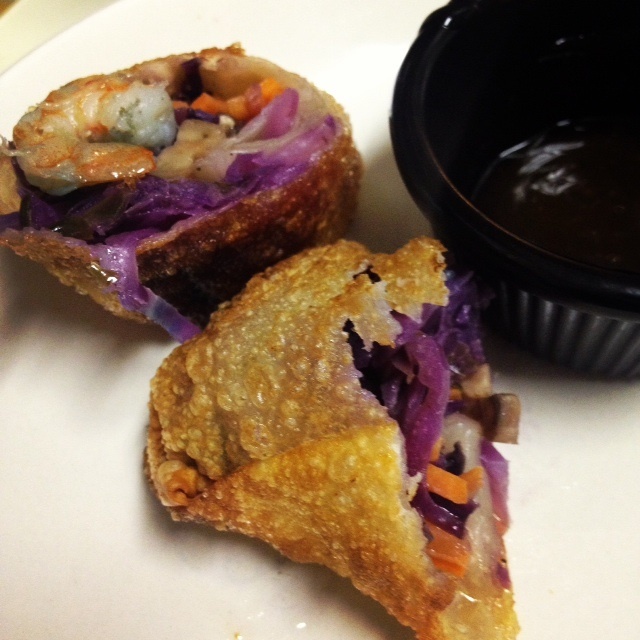 Who doesn’t love a really good egg roll or spring roll? I know I do! What I love better is being able to create my own versions with lots of different varieties right in my own kitchen! As a bonus these spring rolls are fresher and healthier than the versions you’ll find in most restaurants! Enjoy! 1. 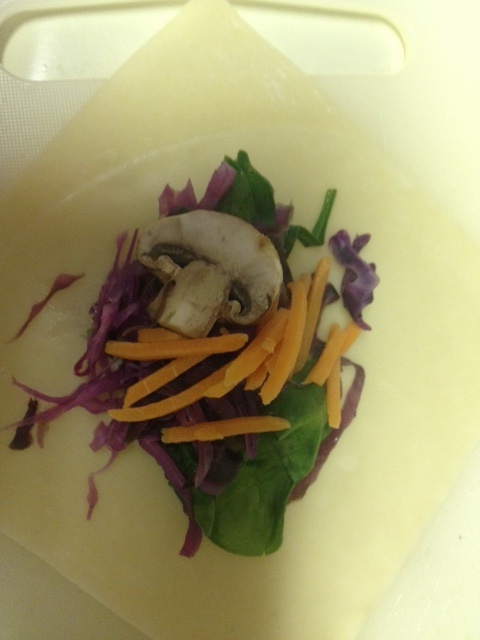 Place cabbage, carrots, mushrooms, and spinach in a steamer. Add salt and pepper to taste and let steam for about 7 mins. 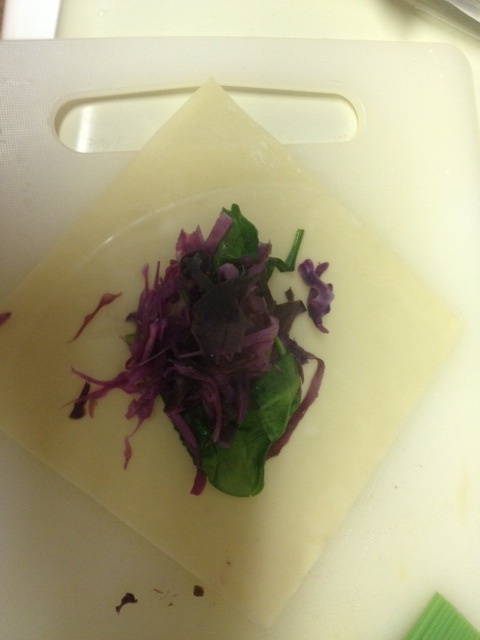 After 7 mins check firmness of vegetables. If at desired firmness remove from steamer and add vegetables to wok along with garlic for 3 mins. 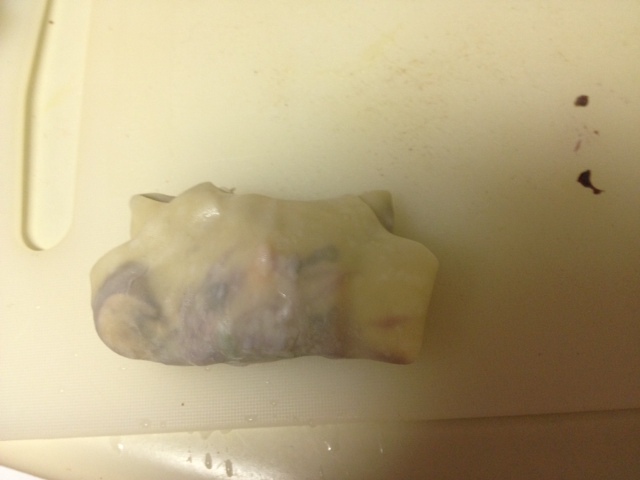 Take off heat and sit it to the side to cool. 2. 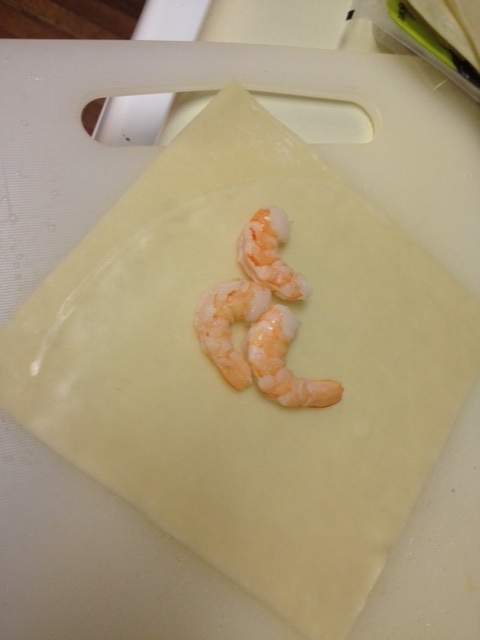 Place egg roll wrapper on a clean surface and add shrimp. 3. Then add vegetables arranging them according to your personal preference. Leaving plenty of room to roll. 4. 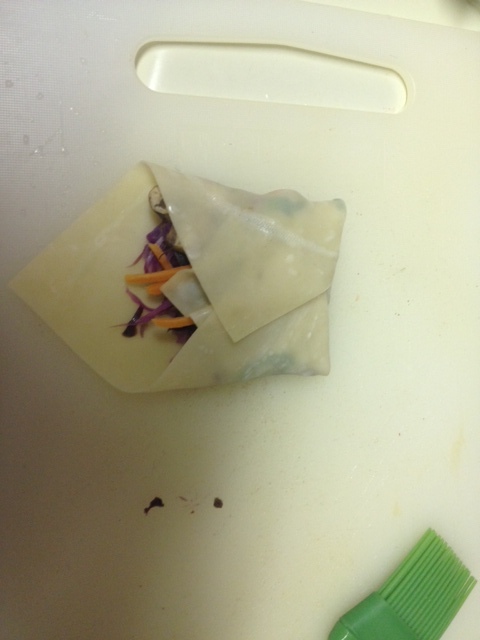 Fold the right, bottom, and top sides of the wrapper over the filling. Lift up enclosed edge and roll. 5. Beat egg in a small bowl with a fork to create an egg wash. 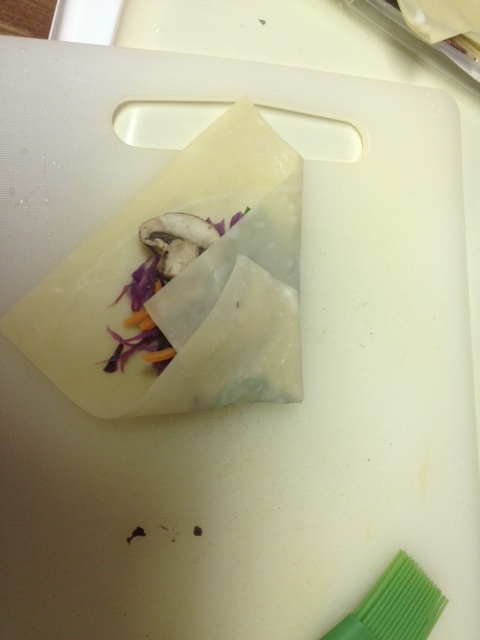 Using a basting add egg wash to folded edges and seal. 6. To fry, place oil in a deep sided frying pan (about 1 inch deep) over medium heat. Oil will start to form snake like lines at the bottom of the pan, this is an indication the oil is heating up. 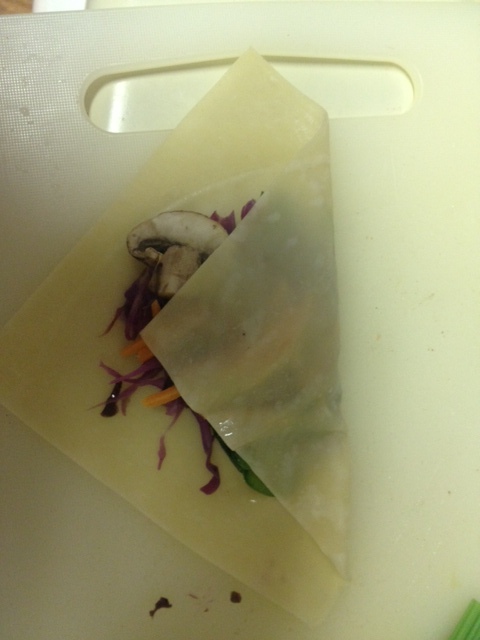 To test add the end of one spring roll to the pan if it begins to sizzle and cook its ready. Cook for 1 minute on each side or until golden brown. 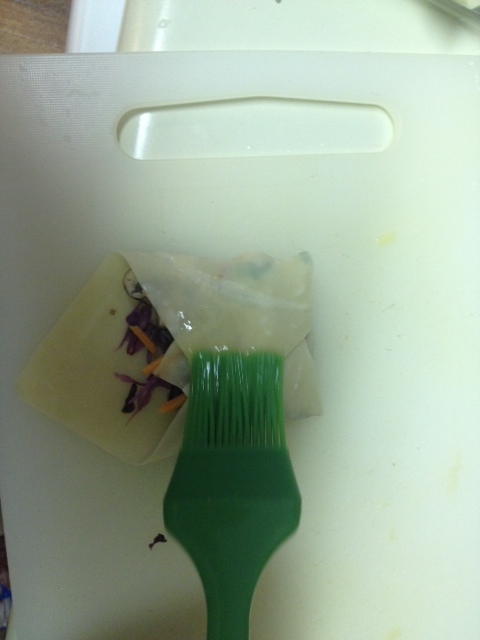 Using tongs to remove from the oil onto parchment paper, paper towel, or clean dish towel to drain. 7. Serve HOT & Enjoy! !